The Loto du Patrimoine will be held in September of 2018 and is expected to raise millions to put towards the restoration and upkeep of emblematic sites across the country. Lyon’s famous Aqueduc du Gier is on that list. The Ministry of Culture has chosen 18 emblematic sites to be represented on the “Loto du Patrimoine” lottery tickets this fall, including the Gier Aqueduct just outside of Lyon. The aqueduct, located to the west of Lyon at Chaponost, is one of 270 monuments at risk that will benefit from the money raised by the lottery, which seeks to restore monuments and important sites in danger of falling into ruin or being destroyed by wear and time. The “Loto du Patrimoine’s” 12 million tickets are sold at €15 per ticket in the run-up to the Journées du patrimoine, a weekend in September where government buildings usually closed to the public are open for visits. They were printed in a high-security factory in Detroit, in the U.S., and will be sold starting September 3 at over 30,800 places in France. The drawing will be held on September 14, at the beginning of the Journées du patrimoine weekend. The contest is expected to raise between 15 and 20 million euros and the money will be put in a specific fund called “Patrimoine en péril,” for important monuments in need of financial support to protect them. There will be a second drawing in 2019. 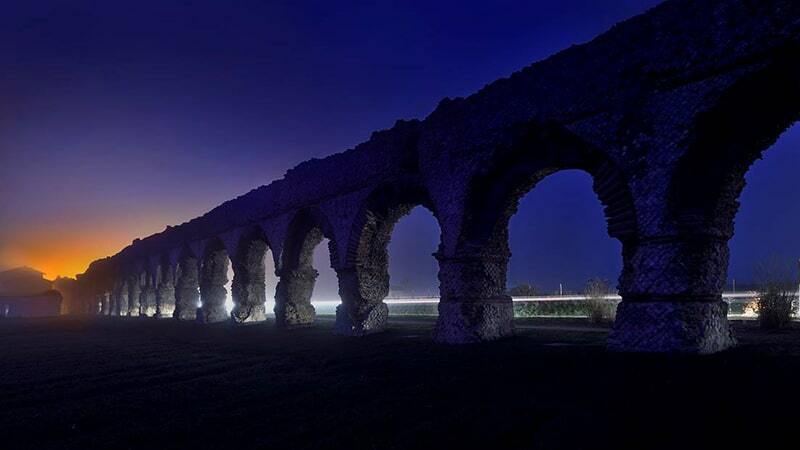 The aqueduct was meant to be restored for a price of €3.4 million. The lottery money will help fund the €33,789 needed to continue and finish the restoration.